Doody Master, Inc. is a dog waste removal service located in the Greater Rochester, New York area.We come to your home and clean your yard of dog waste. Doody Master, Inc. has been in business since 2005.We believe in providing the best service available at an affordable price. If you are not completely satisfied with the service, call within 24 hrs and we will come back free of charge. 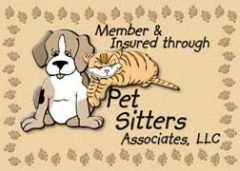 Doody Master, Inc. is a member and insured through Pet Sitters Associates, LLC. If you would like to know more about Doody Master, Inc., we suggest that you read this article about us that was originally issued by the Livingston County News. In February 2009, the Genesee Valley Penny Saver honored Doody Master Business in Your Community section. One page infomercial presented short business description, company history, specialties, goals, as well as current staff and address. Doody Master: Doing the job you don't want to doo - By: Pat McGonigle MARCH 26, 2008 - WHEC.com. "My husband and I wanted to create our own destiny," she says. "We didn't want to deal with someone coming in some day and saying, 'You're laid off'." Now, Blackburn's the boss of a Dansville-based business that's hard to miss if you see their trucks out on the road. "Doody Master dog waste removal service," Blackburns says with a sing-song delivery. "We do doo, so you don't have to." Blackburn says Doody Master started as a small side business but now it's a full time job. "We don't want to be just the best pooper scooper service in Rochester, we want to be the best service in Rochester," Blackburn says. Doody Master charges about $50 per month for weekly cleanings. The pay scale slides upwards for homes with more than two dogs. The two worst things about the job? "The weather, we're outside in brutal conditions sometimes," Blackburn says." And, you will step in it, from time to time." You wouldn't believe all the crazy things we've seen in the doody. Sure, there may be paper, toys, crayons, brillo pads, socks, underwear, money, feminine hygiene products, diapers, plastics, string, ear plugs, pebbles, and condoms, but we're talking about something else. Maintaining a clean yard is important not only for you, but also for the health of your pet. Many parasites can be spread through the doody. Many people think of doody as just fertilizer, that is not the case. If your dog has been infected with one of the above, it is especially important to maintain a clean yard. A yard full of infected doody is not a healthy place. A dog can re-infect themselves simply by grooming or licking. Be aware that some germs or diseases can be spread from your dog to you and may make you sick. Some people are more likely to become sick than others. It depends on your health and age. For more information on diseases from dogs and prevention see the National Center for Infectious Disease Control (CDC). Once Doody Master, Inc. cleans your yard, all tools and shoes are disinfected with a disinfectant that kills viruses, bacteria, and fungi. Your dog's health is always our concern. If you think your dog may have one of these parasites or viruses, contact your veterinarian immediately for diagnosis and treatment options. Occasionally, we may also use the information we collect to notify you about important changes to our Web site, new services and special offers we think you will find valuable. As our customer, you will be given the opportunity to notify us of your desire not to receive these offers by clicking on a response box when you receive such an offer.